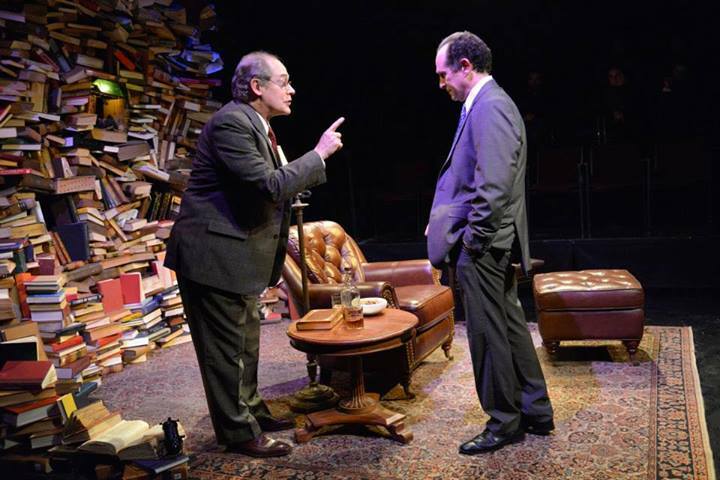 Joel Colodner as Solomon Galkin and Jeremiah Kissel as Bernard Madoff in IMAGINING MADOFF by Deborah Margolin. Photos by Andrew Brilliant / Brilliant Pictures. (Watertown) It is in our genetic makeup to try and understand what we cannot comprehend, no more so than when we are confronted with evil that makes a mockery of human decency. We want to know what makes the mass murderer different from us so badly that we desperately try to project understanding when there is none to be had.